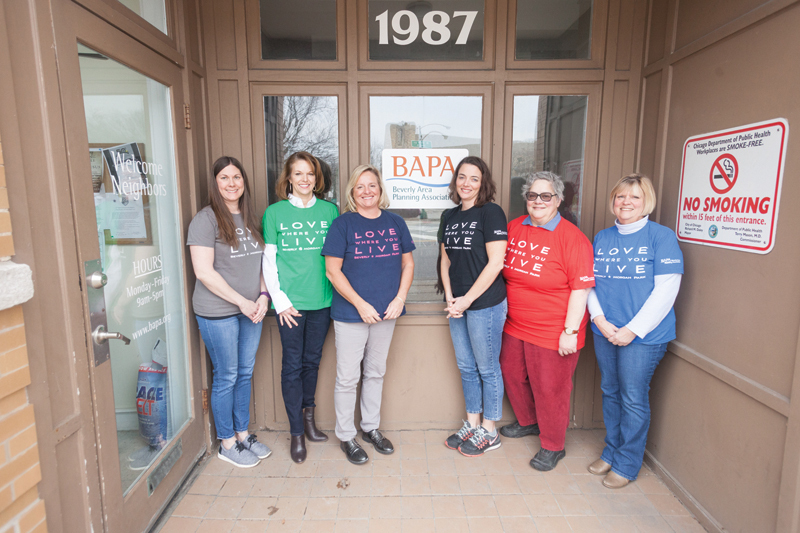 “I am one piece of the BAPA Office Staff that wants you to love where you live as much as I do,” said Jennifer Alving, BAPA Business Manager for the past two years. 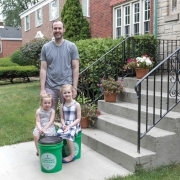 Alving grew up by the Sauganash neighborhood – what she now calls “Beverly North.” “I didn’t even know that there was such a place as the South Side.” Her husband Michael was born and raised in the Christ the King (CK) Parish, which is where the couple bought their home 14 years ago. Alving does the day-to-day, back-of-the-house work for BAPA, organizing mailings, receipts and payments; managing the membership database; assisting with BAPA programs and events; and helping out when needed. 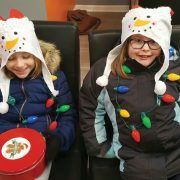 Among her accomplishmests are developing streamlined operations for thanking donors and mailing BAPA Cards, consistent quarterly renewal letters, and other aspects of data management designed to increase membership. “My favorite part of working at BAPA is the staff. We all bring a different trait to the table. Our little group gets a lot accomplished and we work well together,” she said. Susan Flood joined the BAPA staff as Executive Director not quite six weeks ago, and hit the ground running. In the short time she has been at BAPA’s helm, Flood has been focusing on using her skills and knowledge of the community to inform and drive BAPA’s programs. “My passion for and commitment to BAPA lies in bringing all aspects of Beverly/Morgan Park together to collaborate, so we can keep BAPA as a truly valuable resource to our residents, businesses, and public servants. Making sure that BAPA truly reflects this community and always has our eye on the ball. Flood said that her husband and three kids are her biggest supporters in ways too numerous to count. “As my kids take their talents into the world I am reminded every day of the impact growing up in Beverly has had on their success,” she said. “Raised by a saxophone player and married to an artist, you’re likely to see me at the Beverly Arts Center when I’m not at BAPA,” she said. Margot Holland been on the BAPA staff just over three years, and recently moved from the position she held as Executive Director into a new part time role of Program Director. “This is a very exciting new position formed to continue to strengthen BAPA’s relationship with the schools, CAPS program and businesses,”she said. She loves coming to work every day, know the staff can make a difference and continue to fulfill BAPA’s mission. 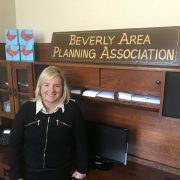 Working alongside BAPA’s staff members has led to other commitments, including working with Mary Jo Viero in starting up the Ridge Park Advisory Council and in representing BAPA at meetings of the Beverly Improvement Association, the oldest and most active neighborhood association in Beverly/Morgan Park. 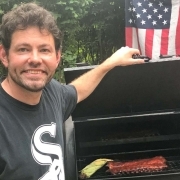 Kleinman also interfaces on BAPA’s behalf as a board officer of the non-profit Friends of the Major Taylor Trail, and serve on the 19th Ward’s Environment Committee. Grace Kuikman joined the BAPA staff 30+ years ago as freelance editor of The Villager. 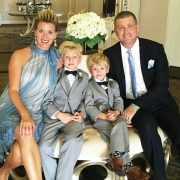 Having worked as a newspaper reporter and freelance writer and editor, the opportunity at BAPA was the perfect fit when Kuikman was ready to start raising a family. When her youngest child started all-day kindergarten at Sutherland School, Kuikman took over the role of communications at BAPA, and started working in the office. She oversees communications for all of BAPA’s events and programs, and produces The Villager, enews, website content and other BAPA print and digital initiatives. 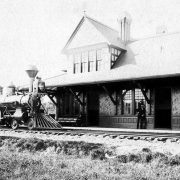 Although she was raised in Evergreen Park, Kuikman’s grandparents were Beverly/Morgan Park residents, and her dad, John Kuikman, attended Vanderpoel elementary school and Morgan Park High School. Kuikman said she is most proud of how BAPA and its communications – The Villager, website, enews, social media – have evolved over the years to remain important sources of information and media that are relevant to old and new neighbors. Kuikman enjoys spending time with her three adult kids because they are really fun and interesting. Her pastimes are predictable: she’s the founder and facilitator of Longwood Writers Guild, spends her free time writing stories, and is about to launch a digital literary magazine with two longtime colleagues. 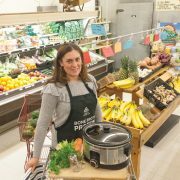 Mary Jo Viero began as BAPA Community Organizer in January 2016, working with neighborhood residents and businesses on green initiatives, promoting local shopping, and bringing people together for issues and events. Viero works with civic and homeowners associations to support their efforts to resolve issues, host events, and communicate with their neighbors. She helps to promote small businesses with the BAPA Card program and small business events such as the Sip and Shop and Cookie Crawl. Viero assists with planning, presenting and sponsorship for BAPA events and coordinates BAPA’s green initiatives, including overseeing tree planting grants through Openlands, Weeding Wednesday and neighborhood clean and greens. Viero and her husband, George, moved to Beverly/Morgan Park in 2003 and their son Frank was born in 2004. They are active St. Barnabas parishioners and Frank will be graduating from St. Barnabas this year. Viero is President of the Ridge Park Advisory Council (RPAC), a volunteer group that works to improve the condition of the Ridge Park fieldhouse.